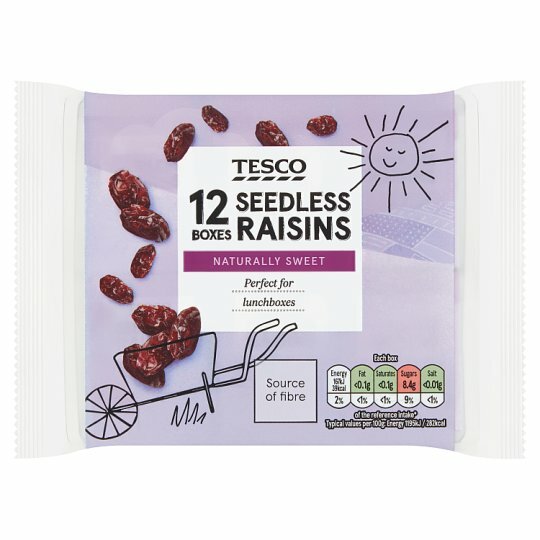 At Tesco our range of food and drinks, for children 4 years and older, has been specially developed to encourage your child to enjoy an exciting food adventure! They can discover all the tastes and textures of good, healthy food and refreshing drinks. There are no nasties in this range, all we have added is a lot of thought and care. Great to sprinkle on your favourite porridge. Caution Although every care has been taken to remove stems, some may remain.